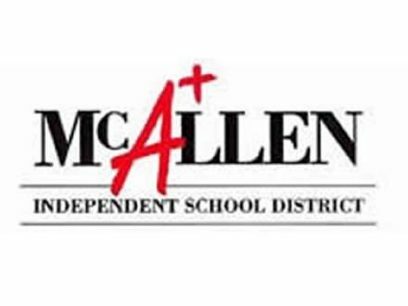 McALLEN — A middle school Spanish teacher accused of moonlighting as an associate for a drug cartel will continue to receive a paycheck from his employer, at least for now. McAllen school district officials suspended Jorge Ignacio Cavazos on Feb. 1, days after he was arrested by federal agents in connection with federal drug charges, according to public records acquired by The Monitor. Cavazos, who has been licensed as an educator in Texas for nearly 20 years, dating back to June 1998, told Homeland Security Investigations agents he “had been assisting” a drug cartel based in Reynosa by unloading carloads of narcotics that were imported from Mexico into the United States since 2016, the complaint states. The 50-year-old McAllen man, who was hired to teach Spanish at Lincoln on Aug. 3, 2015, told federal agents he had been facilitating the movement of drugs for the cartel on a weekly basis since 2016, according to the complaint. On July 20, 2017, a Mexican national attempted to enter the U.S. with about 11 kilos of cocaine hidden within an altered compartment inside a black Nissan Altima, the court record shows. Four months later, HSI agents received additional information from an informant who was cooperating with them about the seizure of the 11 kilos. The informant identified Cavazos as the recipient of the drugs from the cartel and recalled one instance on July 19, 2017, when Cavazos traveled to a McAllen Walmart to pick up the black Nissan Altima, which the informant claimed was loaded with drugs, the complaint states. As for Cavazos, court records show that on Feb. 2, U.S. Magistrate Judge Peter E. Ormsby granted him a $75,000 bond with a $5,000 cash deposit.